Joy achieved a PhD (Pharmacy Practice) from LaTrobe University in 2014. Currently she teaches in the pharmacy program and has an active research program with a focus on perceptions of products and services, particularly pharmacy services including compounded progesterone products. Joy joined UNE in 2017 from LaTrobe University where she had been involved in the establishment of the experiential placement, compounding and research project components of the pharmacy program. 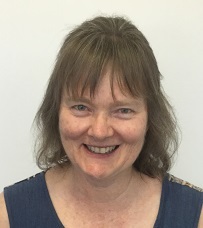 After she earned her Bachelor of Pharmacy and subsequently Master of Pharmacy (Medicinal Chemistry) from the Victorian College of Pharmacy in Melbourne (now part of Monash University), Joy worked in product development for Nicholas Kiwi and IDT. Later she spent a period as the pharmacist at the Tungaru Central Hospital in Tarawa in the Republic of Kiribati as an Australian Volunteer International (AVI). Returning to Australia, Joy continued her passion for pharmacy research and education with Paramedical Software then at LaTrobe University achieving her PhD, and multiple publications in a range of pharmacy practice topics. Person centred care, including how pharmacists offer care to people and how people perceive pharmacists. Pharmacy education including student and employer perception of courses. Specialist compounding services offered by pharmacists and how these impact on the provision of healthcare. Waldron, A. Y., Spark, M. J., & Dennis, C. M. (2016). The Use of Melatonin by Children: Parents' Perspectives. Journal of clinical sleep medicine: JCSM: official publication of the American Academy of Sleep Medicine, 12(10), 1395-1401. Brown, K. E., Swift, I., & Spark, M. J. (2012). Pain Severity Cut-Points and Analgesic Use by Community-Dwelling People for Chronic Pain. Journal of Pharmacy Practice and Research, 42(3), 196-199. Kemp, S. M., & Spark, M. J. (2010). Rurally focused BPharm course: perspectives of graduates. Journal of Pharmacy Practice & Research, 40(4), 275-278. Spark, M. J., Dunn, R. A., & Houlahan, K. L. (2009). Women's perspective on progesterone: A qualitative study conducted in Australia. International Journal of Pharmaceutical Compounding, 13(4), 345-349. Andrews, P. R., Carson, J. M., Caselli, A., Spark, M. J., & Woods, R. (1985). Conformational analysis and active site modelling of angiotensin-converting enzyme inhibitors. Journal of Medicinal Chemistry, 28(3), 393-399. Andrews, P. R., Sadek, M., Spark, M. J., & Winkler, D. A. (1986). Conformational energy calculations and electrostatic potentials of dihydrofolate reductase ligands: Relevance to mode of binding and species specificity. Journal of Medicinal Chemistry, 29(5), 698-708. AHPRA Registered pharmacist, member of the Pharmaceutical Society of Australia (PSA), and the Australasian Pharmaceutical Science Association (APSA).